Access to the internet became more challenging and expensive for Sudanese citizens amid a continually deteriorating economy (see Availability and Ease of Access). No online news outlet, social media, or communications platforms were restricted this year, though forced content removals became more prevalent (see Content Removals). While social media was critical for mobilizing protests against the economic crisis, the so-called Cyber Jihadists worked to thwart the movement by disseminating misinformation (see Media, Diversity, and Content Manipulation). A new cybercrime law and amendments to the media law introduced new restrictions on online activities (see Legal Environment). In July 2017, political activist Hatim Merghani was sentenced to two years in prison and a fine for publishing commentary on the corruption of a government official on WhatsApp and other social media channels. Numerous journalists and activists were also arrested or prosecuted for their online activities (see Prosecutions and Arrests for Online Activities). Internet freedom in Sudan declined in the past year due to a crippling economic crisis that made access to ICTs prohibitively expensive for everyday users. The government also exerted increasing control over the online sphere by arresting online journalists and activists and introducing new restrictive laws. In October 2017, the United States lifted economic, trade, and financial sanctions first imposed on Sudan in 1997, opening up opportunities for new companies to enter Sudan and fuel a long-awaited digital revolution.1 However, the renewed hope was hampered by a massive economic downturn in late 2017 that saw the devaluation of the local currency and exponential spikes in inflation. Everyday citizens were hard-hit by the soaring prices of goods, including access to the internet. So-called “bread protests” erupted in late 2017 through early 2018 against the government’s flagging response to the country’s deteriorating economy. Social media platforms were critical for mobilizing and documenting the protests, which were not covered in traditional media. Meanwhile, misinformation spread by the pro-government Cyber-Jihadist Unit tried to paint the protests as a deliberate ploy to destabilize Sudan and disseminated propaganda on how the government was effectively handling the economic situation. The government sought to tighten restrictions on online activities in the past year, introducing a new cybercrime law and amendments to the media law (they were passed in June 2018, after this report’s coverage period). The cybercrime law announced criminal penalties for the spread of fake news online, while amendments to the media law require online journalists to register with the Journalism Council. Meanwhile, the authorities continued to crackdown on online activities, sentencing at least one citizen to prison for critical commentary shared on social media and arresting numerous journalists and activists for alleged cybercrime. Economic challenges intensified with high inflation rates in Sudan, resulting in higher costs and declining quality of services for Sudanese citizens in the past year. In addition to high prices, the quality of service for 3G users deteriorated as telecommunications companies tried to push people toward their 4G services, which is very expensive; as of mid-2018, 30 GB cost about 615 SDG (US $34) and is not enough for an entire month of service. There were no reported restrictions on connectivity during the coverage period. Sudan is connected to the global internet through international gateways controlled by the partly state-owned Sudan Telecom Company (Sudatel), Zain, and Canar Telecom, which are in turn connected to five submarine cables: Saudi Arabia-Sudan-1 (SAS-1), Saudi Arabia-Sudan-2 (SAS-2), Eastern Africa Submarine System (EASSy), FALCON, and Africa-1, the largest cable. Partial control over the international gateway has enabled the government to restrict internet connectivity during particular events in the past. Two providers, MTN and Sudatel, offer broadband internet, while Canar offers fixed phone lines and home internet. The Bank of Khartoum subsequently purchased Canar from UAE’s Etisalat in June 2016, after the bank used its 3.7 percent share in Canar to block Zain’s efforts to purchase it. Observers believe the government’s move to increase its market share of the telecom industry will have a negative impact on internet freedom for Sudanese users due to the government’s growing ownership of the market. Sudan’s telecommunications sector is regulated by the National Telecommunications Corporation (NTC),12 which is housed under the Ministry of Telecommunications and Information Technology. The NTC is tasked with producing telecommunications statistics, monitoring the use of the internet, introducing new technology into the country, and developing the country’s telecommunications and IT industry. It is also responsible for deciding what content should be accessible on the internet. Although it is a state body, the NTC receives grants from international organizations such as the Intergovernmental Authority on Development and the World Bank, and its website describes the body as “self-financing.” The body received praise from the Council of Ministers for supervising the national SIM card registration campaign in late 2017 (see Surveillance, Privacy, and Anonymity). No online news outlet, social media, or communications platforms were restricted this year, though forced content removals became more prevalent. Social media was critical for mobilizing protests against the economic crisis. The so-called Cyber Jihadists worked to thwart the movement by disseminating misinformation. Political or social content was last blocked in 2012, when Sudanese Online and Facebook were intermittently inaccessible and the "Innocence of Muslims" YouTube video was blocked. Forced content removal was more prevalent in the past year, though the extent of the practice remains unknown. In May 2018, Al-Taghyeer, an independent online newspaper, published an article about a song critical of the government called “Barkawi,” written by a famous Sudan-based poet and sung by Egypt-based musician Ahmed Abdullah. After the article and the song went viral, the musician received threats from the Sudanese embassy in Cairo and was compelled to immediately remove the song from YouTube to avoid reprisals. Compared to the highly restrictive space in the traditional media sphere—which is characterized by pre-publication censorship, confiscations of entire press runs of newspapers, and warnings from NISS agents against reporting on certain taboo topics19—the internet remains a relatively open space for freedom of expression, with bold voices expressing discontent with the government on various online platforms. Online news outlets such as Altareeg,20 Altaghyeer,21 Radio Dabnga,22 Hurriyat, and Alrakoba cover controversial topics such as corruption and human rights violations. Facing heavy censorship, many print newspapers have shifted to digital formats, circulating censored or banned material on their websites and social media pages; as a result, Sudanese citizens increasingly rely on online outlets and social media for uncensored information.23 Blogging is also popular, allowing journalists and writers to publish commentary free from the restrictions leveled on print newspapers and provides ethnic, gender, and religious minorities a platform to express themselves. The more active Sudanese bloggers write in the English language. The economic crisis and associated rise in the costs to access the internet has negatively impacted the quality of content available to users, mainly because the high cost of data has disincentivized accessing higher quality content or content in its entirety. Many people share information on WhatsApp, which uses less data, but at the expense of visiting other online news sources for more information. Government threats against the internet has led to growing self-censorship in recent years. Many journalists writing for online platforms publish anonymously to avoid prosecution, while ordinary internet users in Sudan have become more inclined to self-censor to avoid government surveillance and arbitrary legal consequences. In the past year, Cyber Jihadists worked to thwart the so-called “bread protests” that took place in early 2018.28 Their strategies included posting pictures from war-torn areas of Syria to demonstrate a higher quality of life in Sudan and commentary that negates citizens’ posts about the high prices of medicine and basic goods. The Cyber Jihadists also spread misinformation about the protests being a deliberate ploy to destabilize Sudan and propaganda illustrating how the government was effectively handling the economic situation. Social media and communications platforms were critical to the organization of protests in early 2018. Between December 2017 and February 2018, mass protests broke out against the country’s economic deterioration, particularly in response to the 2018 state budget, which was seen as more focused on security and the military and heavily based on taxing ordinary citizens who had already seen large increases in taxes in recent years.29 The “bread protests” were heavily organized through Facebook, Twitter and WhatsApp and saw larger numbers of ordinary citizens engage compared to previous protests given the widespread impact of the economic crisis. While the Cyber Jihadists tried to shutdown popular Facebook pages disseminating information about the protests by reporting the pages en masse, social media was the main source of news about the protest movement. Citizen journalists posted videos of the protests, and reporting on police violence against protestors was only covered online. A new cybercrime law and amendments to the media law introduced new restrictions on online activities (they were passed in June 2018, after this report’s coverage period). At least one citizen was sentenced to prison, while numerous arrests and interrogations for online activities were reported. Violence against users decreased. Sudan has restrictive laws that limit press and internet freedom. Most notably, the Informatic Offences (Combating) Act 2007 (also known as the IT Crime Act, cybercrimes or electronic crimes law)30 criminalizes the establishment of websites that criticize the government or publish defamatory material and content that disturbs public morality or public order.31 Violations involve fines and prison sentences between two to five years. New laws enacted in 2018 (after this report’s coverage period) seek to tighten restrictions on online activities. In June 2018, the National Assembly passed the Law on Combatting Cybercrimes of 2018 that introduced criminal penalties for the spread of fake news online.32 The law also penalizes criticizing foreigners with up to two years in prison. Arrests, prosecutions, and interrogations for online activities continued in the past year, particularly as heavy-handed censorship on the print and broadcast sectors led journalists to migrate online to disseminate news. The arrests reflected an ongoing tactic to limit internet freedom by silencing critical voices and encouraging self-censorship. In October 2017, a video circulated of a young man wearing makeup and dancing in a wedding hall. He was reportedly arrested after the party and sentenced to a fine and 40 lashes. In a dangerous new pattern, the public order police (also known as the morality police) have arrested individuals featured in viral videos for violating laws on personal behavior and dress codes. Sentences vary between 40 lashes for indecent clothing to jail-time and a hefty fine for indecent acts. In February 2018, a video circulated on Facebook and WhatsApp in which a group of young men and women were dancing at a party. Days later, the morality police announced that the people shown in the video were arrested and they would be persecuted. In March, a young woman also filmed dancing in a viral video was arrested by the same police force. Unchecked surveillance of ICTs is a grave concern among citizens in Sudan, where the government is known to actively monitor internet communications on social media platforms and target online activists and journalists during politically sensitive periods. The NISS regularly intercepts private email messages, enabled by sophisticated surveillance technologies. Article 9 of the NTC’s General Regulations 2012, based on the 2001 Communications Act, obligates mobile companies to keep a complete record of their customers’ data, and mandatory SIM card registration was enforced in late 2017. Subscribers were given the deadline of December 31, 2017 to register their phone numbers using their National ID, which includes detailed personal information such as home address, birthplace, and mother’s name. Online journalists and activists often face extralegal intimidation, harassment, and violence for their online activities, though there were fewer reported incidents of violence during the coverage period compared to previous years. Female activists in particular are subject to multilayered attacks such a threats and smear campaigns on social media. In one prominent example from the past few years, over 15 female activists were doxed on the fake “Sudanese Women against the Hijab” Facebook group, where their private pictures were posted without their consent alongside fabricated quotes about being against the veil and religion. Some of the victims became fearful for their life in the face of violent threats from religious fundamentalists. Two victims reported this page at the cybercrimes prosecution office to no avail; instead, one of the victims was shamed and scolded for posting her picture online. The page was only shut down after serious advocacy with international human rights groups. One group in particular sent a representative to meet with Facebook executives and campaign on this issue. The page was finally removed in April 2017. Independent news sites are frequently subject to technical attacks, which many believe are perpetrated by the government’s Cyber Jihadist Unit. Attacks usually intensify during political events and unrest, while some prominent news sites ward off daily DDoS attempts. Several online outlets reported technical attacks against their websites in the past year, but they were able to respond by increasing their cyber security capabilities. Throughout 2017, a Facebook page created by Sudanese women to post screenshots of sexual harassment incidents faced several hacking attempts following strong condemnation from numerous male users. The women also have a private group with over 7,300 members on social media called “Inboxat” (Arabic for “Inbox messages”) where they share sexual harassment messages they receive on social media with one another. 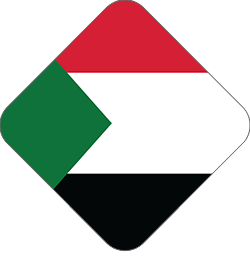 1 Under the sanctions, Sudanese users could not download applications or software online without a VPN or access services such as Google and even online courses. 12 In March 2018, the NTC’s website was down. 18 "Cybercrime: Cyber terrorism threatens the sovereignty of the state,” [in Arabic] Alintibaha, August 13, 2014, http://bit.ly/1NRfFg5. 20 Altareeg was established in January 2014. 21 Altaghyeer [Arabic for change with political connotation] was established in 2013 following the government’s crackdown on independent journalists, who were eventually banned from practicing traditional journalism in Sudan. 22 Launched from the Netherlands in November 2008, Radio Dabanga focuses on reporting on Darfur and has a strong online presence and wide audience in conflicts areas. It website is bilingual and runs in depth reports and features. It is a project of the Radio Darfur Network. Dabnga, “About Us,” http://bit.ly/1LkMr5H. 26 “Sudan to unleash cyber jihadists,” BBC, March 23, 2011, bbc.in/1V3FWdi. 27 See Freedom on the Net, Sudan 2015, bit.ly/1QQpZp5. 28 It should be noted that activists rarely use the term “Cyber Jihad Unit”, in fact they refer to thee affiliated with this unit as "electronic chickens" as of 2012. 29 Export taxes on non-essential food items increased to almost 40% while tariffs on cars increased by 300%. The increase in car tariffs forced the tariffs authority to have to accept instalments as thousands were unable to pay the fees to bring their cars into the country. 31 Abdelgadir Mohammed Abdelgadir, Fences of Silence: Systematic Repression of Freedom of the Press, Opinion and Expression in Sudan, (International Press Institute, 2012) http://bit.ly/1Pv7nee. According to Section 4, crimes against public order and morality Sudan cyber law, of Sudan’s Cybercrime Law (2007), intentional or unintentional producing, preparing, sending, storing, or promoting any content that violates public order or morality, makes the offender liable to imprisonment of 4 to 5 years or a fine or both. The maximum penalty for committing both crimes is 7 years or fine or both. Also, under the same section, creating, promoting, using, website that calls for, or promote, ideas against public law or morality is punished by 3 years in prison or fine or both. Cyber defamation crimes necessitate 2 years in prison or fine or both. Public order is not defined clearly in the law. Subsequently, most of the opposition content online falls under this section making online activists liable under this law. 35 As in the case of Hurriyat, Al-Rakoba, Al-Taghyeer, Al-Tareeg. 38 Committee to Protect Journalists, “Repressive press law passed in Sudan,” June 11, 2009, https://cpj.org/x/2c67. 43 Interview with Al-Taghyeer editor on Tuesday 6th of March 2018 over whatsapp. 44 Interview with Al-Taghyeer journalist, February 2018. 49 Ellen Nakashima, “Report: Web monitoring devices made by US firm Blue Coat detected in Iran, Sudan,” Washington Post, July 8, 2013, http://wapo.st/1Pv95fA. 50 Based FH consultant interviews, March 2018.